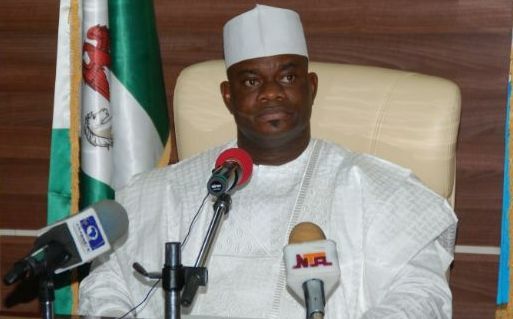 The organized Labour in Kogi State has suspended its seven week-old strike following government’s promise to pay workers one month salary out of the 22 months arrears being owed them. The decision to call off the strike was announced on Friday in Lokoja during an agreement signing ceremony between the state government and the organized Labour. The Deputy Governor, Mr Simon Achuba led the government negotiating team while the Mr Onu Edoka, the state Chairman of the Nigeria Labour Congress ( NLC) led the Labour team. The organized Labour had on Sept. 27 called out workers on indefinite strike to protest non-payment of their salary, allowances among other demands from the government. The suspension of the strike was with immediate effect but workers will resume in their various offices on Monday, Nov. 13. Edoka, in a brief remark, said that Labour decided to suspend the strike following an agreement with government on some of their demands. He said that the two parties agreed to honour the agreement. “The agreement was signed after much consultations by both parties to bring about lasting peace between the workers and government,” the statement said. The agreement reads in part that the controversial ‘clock-in and out’ policy will be test run for three months after a which final decision on its desirability will be taken. “That on no account would the machine be used to determine the payment of salaries to workers until the Committee of Government and Organized Labour adjudged the efficiency of the machine after the expiration of the three(3) months in February, 2018. “That the payment of salary and pension to workers and pensioners respectively for the month of August 2017 would be full and comprehensive ,” they agreed. The agreement also stated that pardoned and omitted staff as well as new retirees will be put on the payroll and paid their full month salary and pension respectively on or before Nov. 17. “All cases of arrears of salaries and pensions will be scheduled for payment as funds are available based on the understanding between Labour and Government,” agreement reads further.